Citadel Servers is now offering Project Zomboid hosting! We offer from the server on a RAM basis from 1.5GB to 8.5GB per server. Our servers are in Europe, USA and Canada at the affordable price of $7.42 | £4.99 | €6.84 per GB. We suggest getting more Ram if you intend to run mods on your server. Sale! - 512mb extra on all Ram! Need more than 8.5GB? Contact us. Order for a year and get 10% off your order! We have a nice discount using the code PZ10OFF This will give you 10% off your order. Easy access to log files. Your Server, You decide your Slots\Players. Update: We now support IWBUMS 31.11 Beta builds on our Project Zomboid servers, with a click of a button you can install the latest IWBUMS build. With all of our dedicated servers running ECC high frequency Ram with Intel Professional grade Xeon Servers, your server performance should never be a concern. All servers are connected to atleast a 1Gbps uplink to achieve low latency. I don't think you guys know how much RAM this server needs in order to run smoothly for these player caps... 8GB for 200... That's a good one. xD Well I guess you would be right to say 1-x, just won't be the smoothest experience once you get close to x. Not to say you guys don't offer good services, just don't want people to get the wrong idea about what they're being offered. Thank you for pointing out an error. This was based on our Minecraft server offer originally. We have amended our RAM offers. There's a bug in the game's netcode that appears to hard-limit player count to 64 right now, afaik. Just friendly advice, You'll need 4GB RAM for 20 players if you want the server to run longer than 24 hours, or you'll get major lag spikes/crashes and it must run on SSD or RAMdisk. Else you'll have a serious zombie lag, making it an unplayable server. If you have less than 20 players then you can tone these values down a bit. As for players, up to 64 players seems to work fine. Zeeks had quite a few on his server and he hasn't reported any problems. Perhaps he can give more input on that. And some final advice, for the sake of the people of this community, I suggest you do some tests before you sell your severs, renting a server that is not enough to run this game will leave them feeling ripped off. Anyway i wish you good luck! Citadel Servers are running a Sale for Project Zomboid this month only (April) A further discount to our original introductory offer. May the Fire Axe be with you. We now support IWBUMS 31.11 Beta builds on our Project Zomboid servers, with a click of a button you can install the latest IWBUMS build. Great company, I asked for the IWBUMS build's they got it all done in less than a day . Ready for me to install. Staff A+ imo. We are now offering Kansas as a US Central location hosting location as of today. To any Project Zomboid Server owner with us, contact our sales department for this exclusive offer. $7.61US? a month for 1GB of RAM plus $3 to choose to have the KANSAS location? Free for Canada/France/and Vermont?? lol but $3 for Kansas. Some locations cost more than others for us to be able to host gameservers. We have a very fair pricing scheme, if you compare us to the other Project Zomboid server hosts, you will see we are actually the cheapest. We are also the only host to offer IWBUIMS build. We offer a very comprehensive package such as that we offer 24/7 Support to our clients, offer 6 game hosting locations worldwide, optimised and fully configureable servers and much more. We price it RAM wise so you get to setup your server the way you want and set your own players. Order your New York Project Zomboid Dedicated Game Server Today. We have also updated our guides and tutorials on how to configure and work with your server. 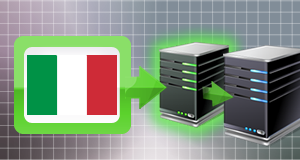 Order your Italian hosted Project Zomboid Dedicated Game Server Today. does your service also comes with a admin tool of some sorts to configure the server option ? We provide a Control Panel which you can use to configure your Project Zomboid server with us, we provide full access to your server via the control panel, file manager and FTP and provide guides on how to configure your server. All these options can be configured in one place in our configurable files section. You can run console commands via the webconsole that we provide, interacting with your server without being on it. Order your British hosted Project Zomboid Dedicated Game Server Today. your world will be backed up, protecting it from any effects a steam update to your server. Secondly, we have introduced a Game Save Slot system, you can save up to 100 saves and load one at any time, simply click "Quick Backup" Enter in a number for your slot and execute it. It will then proceed to backup your world. This can then be restored with "Quick Restore", enter in the number for the backup, and it will restore your backup. providing a clean slate when the world gets stale. In Las Vegas, Nevada in the USA! Order your American hosted Project Zomboid Dedicated Game Server Today. Order 3GB of RAM for your Project Zomboid and get the 4th GB of RAM Free! We will have this supported shortly. This is one of the best companies I have found, they have a wonderful customer service. they support Zomboid incredibly well, I have been through 6 companies that have NO clue what they are doing with Zomboid, this one isn't one of them. I have a great server for a couple friends and I and it works fantastically. Definitely love it here they have a great set up and you can "hold" your server so you hault monthly payments but keep your server exactly how it is to revive it later. I recommend this company by far. You won't regret using them.